Few people know that after a golden wedding,Celebrating half a century after the wedding, celebrated other anniversaries. However, often such events do not happen: the two spouses do not always manage to celebrate the 70th anniversary of marriage. To live up to this age, so even with your spouse is not that God's grace? That jubilee, who are lucky enough to celebrate this event and to everyone, we are happy to tell you about how to celebrate 70 years of a fertile marriage. The venerable age of the spouses, their hugeexperiences, memories, are themselves the subject of respect. Perpetrators of celebration, lived nearly a century, can tell a lot about his numerous descendants. Therefore, the main tradition of celebrating the 70th anniversary of the marriage is considered to be close communication with elderly people with the aim to find out the secret of their longevity, to get acquainted with a family history in a circle of close friends. Good tradition on the feast of the seventiethmarriage is viewing photos that are stored in the family archive. Many families have a rich archive family movies: the representatives of the older generation, as well as their children, grandchildren and great-grandchildren will be interesting to watch together valuable and rare records. Another tradition is considered to be SeenHero of the day shortly before the celebration of the Holy Places and the church. It would be better if the church to go as a family, to pray for the health of anniversaries, family members. 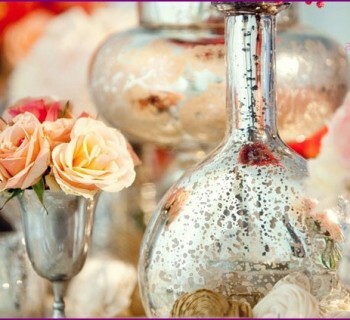 Fertile wedding: how to mark the anniversary? 70 years of marriage celebrated infrequently,therefore, how people celebrate this festival is little known. 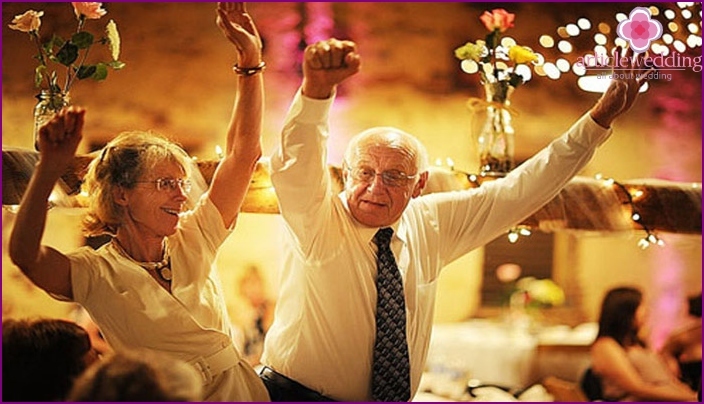 Newlyweds celebrating the seventieth anniversary of living together, for about ninety years, so they are hard to perceive the noisy celebrations. 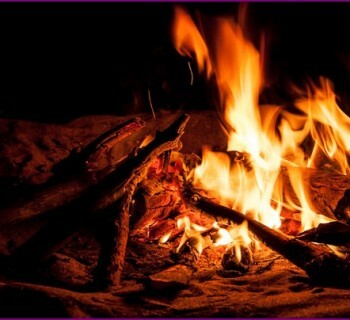 On the contrary, a cozy, relaxed atmosphere at the event will make sincere holiday memorable. She will love the jubilee. 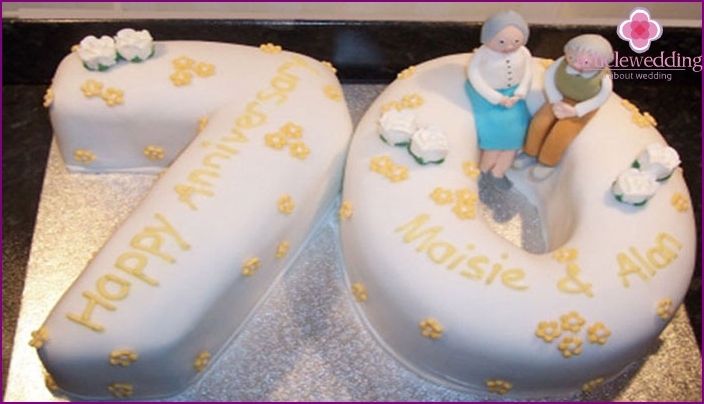 Typically, the seventieth anniversary of the marriage celebrate at home, butif the older generation there are forces, why not mark a celebration in a restaurant or other public place? 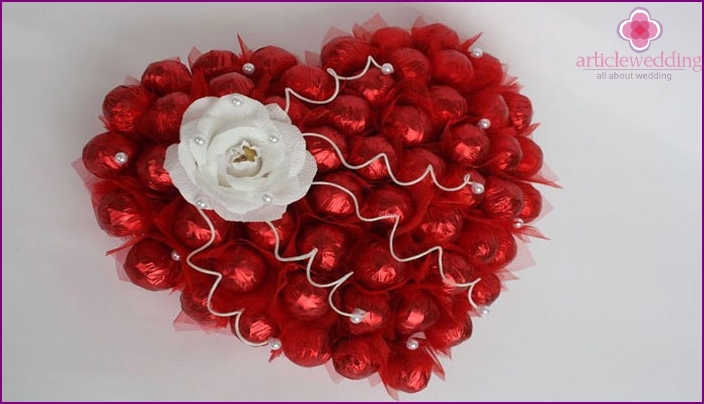 For decorations using balloons, garlands, flowers. It is better if the decorations are not bright and flashy. The walls are decorated with family photos. As an alternative, it does not prevent ask heroes of the occasion, as if they wanted to celebrate the joyful event for them. fertile wedding scenario you need to consider soto heroes of the occasion was not hard to see out to the end of the event. Optimally holiday does not have to be long, more than three hours. Triumph of conventionally divided into two stages: communication with hero of the day, joint viewing photos and videos, and a gala dinner (lunch). 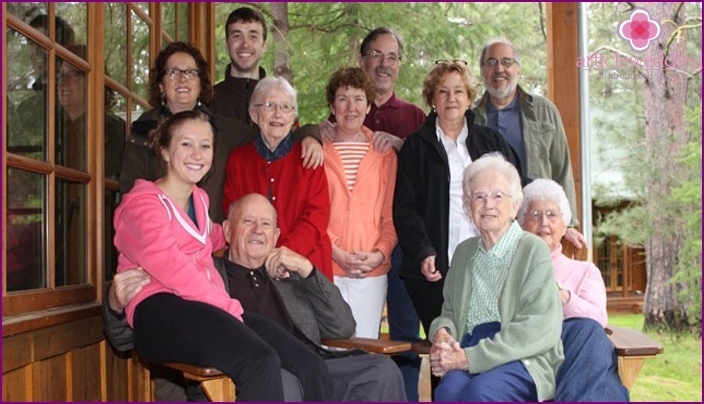 It is important to ensure the possibility of communication of family members, people with elderly newlyweds. On the eve of the joyful events need to consultwith the elderly, to find out their wishes about the holiday. Perhaps they want to grace celebration reminded them of times past their marriage. Listen carefully to their wishes, try to make the jubilee celebration really liked. They may be difficult in a noisy feast, so think through other options, like to celebrate the anniversary. 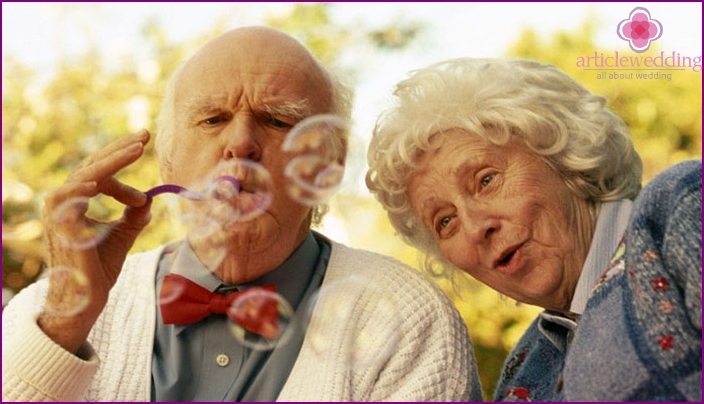 Older people do not need expensive gifts, theyalready there is a major children, grandchildren, great-grandchildren. Their collaborative relationships were successful, they were able to continue their family. For all the previous decades old have invested a lot of effort educating the younger generation, helping them to study in school, college. They want only one thing: love and respect. Hero of the day do not need gifts, which will costexpensive: Best Present for woman beautiful fresh flowers. Men give a gift based on his personal preferences. If you want to follow the tradition of celebrating the triumph of grace, make such a gift: print and insert into the framework of a joint photo. For this jubilee is the most valuable gift. Make it so that they have experienced a lot of pleasant moments during the anniversary celebration. And the child, and the old man will always be a pleasureto hear good words in the address. Older people have time to do a lot in his lifetime: to surprise them with something heavy. The exception to this rule are the warm greetings to be delivered during the anniversary of 70 years of grace wedding celebration. Come creatively to compose greetings. Come up with a witty title of his work. 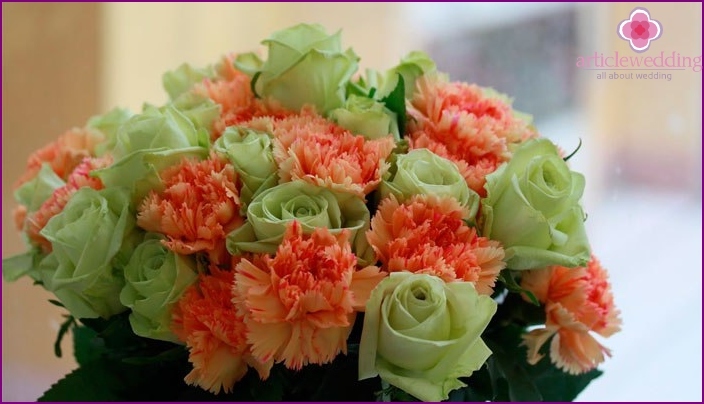 Do not forget to mention the name of the spouses in the congratulations with the soothing holiday. Besides the beautiful congratulations, we recommend to prepare a collage of old family photos. If you are not able to come up with a greeting text, find a suitable on our website. The main thing with a sense to read the text, so that it sunk into the soul, remember the jubilee.